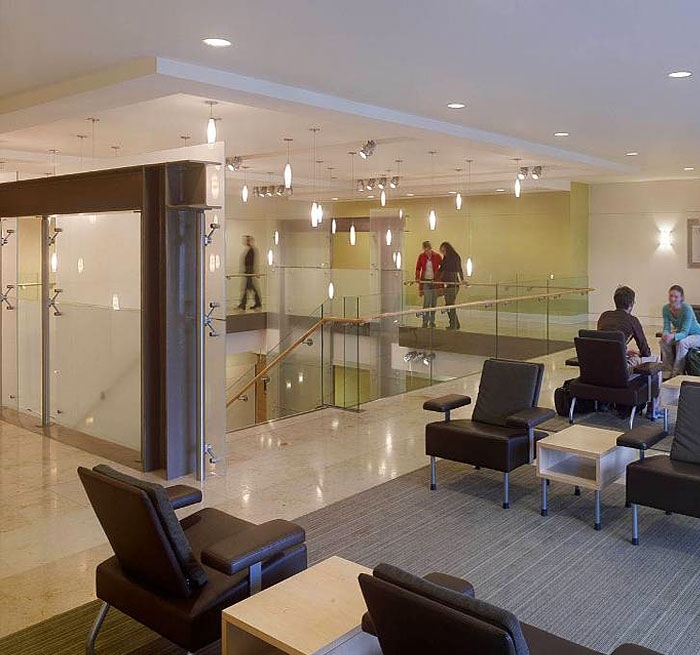 Auerbach Glasow provided architectural lighting design services for the San Francisco Conservatory of Music‘s performance spaces, public circulation, classrooms and administrative areas. Founded in 1917, the Conservatory moved into its new home in the city’s civic center, dramatically expanding its facilities which serve students and the public. The 126,000-square-foot, eight-floor facility presented a complex mix of historic features and new building additions, small and grand rooms and multiple uses of the various spaces. Lighting tasks were organized according to performance and non-performance-related uses; emphasizing aesthetics and flexibility in the large public performance spaces and cost and energy efficiency in the smaller non-performance areas. 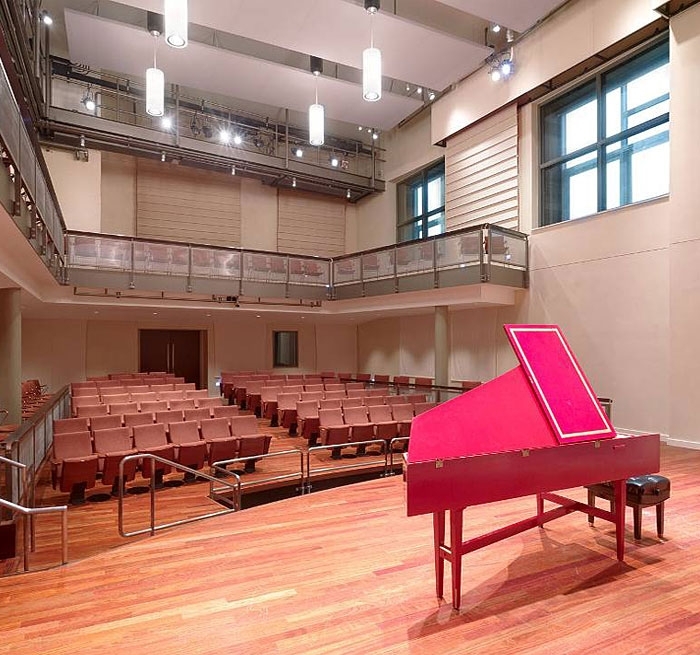 Working closely with the architects and Conservatory staff, the firm gave special attention to the renovation of the historic 445-seat Caroline H. Hume Concert Hall, the intimate feeling of the 135-seat Sol Joseph Recital Hall, and dual lighting systems in the 100-seat Osher Salon and Recital Hall. 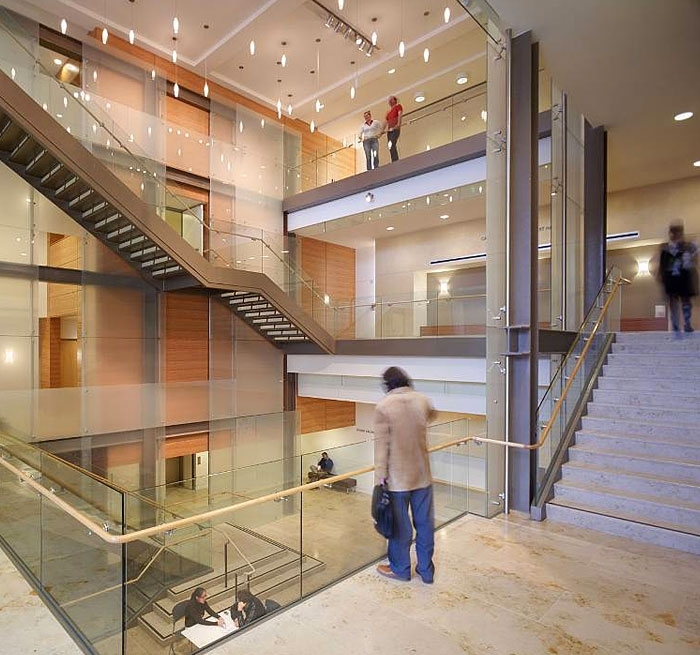 Public circulation areas, especially the three-story atrium lobby, were designed to show off the volume of the spaces as well as finishes and special features. 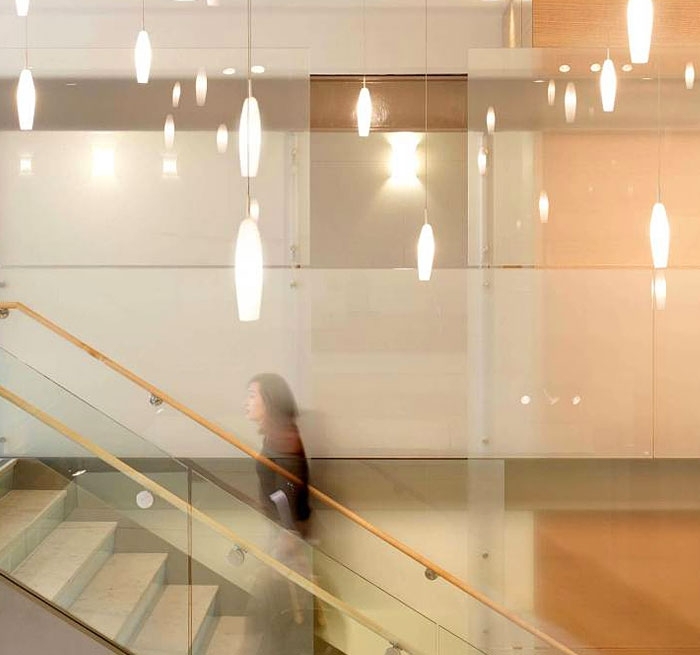 An integrated architectural lighting control system functions alongside the performance lighting system in every space and allows lighting preset recall for the operation of the entire lighting system by a single operator. The latest technology of sine-wave dimming is applied to assure a quiet system with no acoustical intrusion.